The holiday season is fast approaching, and our schedule is filling up fast. 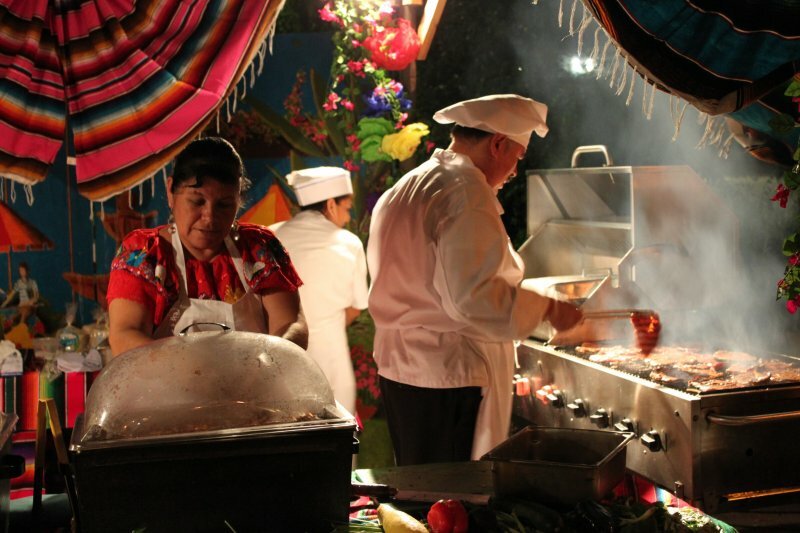 Our Casa Guadalajara catering group provides the finest in Mexican cuisine catering at your location or at our restaurant at 4105 Taylor St. in Old Town, San Diego. Revered by many as the best Mexican Restaurant in San Diego, we take the pressure off of you by taking care of all of the personal details that make your event unique and memorable. All of our events are custom designed to provide a unique experience for your group. Since 1995 dozens of companies and organizations have enjoyed our full service catering for their end of year parties. In lieu of the traditional holiday “office party”, many companies host a pre-Thanksgiving dinner for their employees and/or customers. Since you’ll probably be eating Turkey on Thanksgiving day, we’ll put together for you a special menu that will make your event one which everyone will remember for years to come. For your holiday party our Courtyard and Garden Rooms provide you with a private, intimate atmosphere for you to celebrate ’till your hearts are content. Our Director of Catering and Special Events, Catherine Breedlove, will create an event to remember for you. Catherine is extremely creative and goes above and beyond to be sure all of your guests are given the special treatment you want them to experience. If you’d prefer, we’ll happily bring the party to you. Our catering department can deliver your special event right to your doorstep. If you’re in charge of special events for the end of the year, contact us as soon as possible to get your event scheduled. For information visit our Bazaar del Mundo banquets and catering web page at http://www.casaguadalajara.com/banquets-parties/#banquets. Call Catherine Breedlove at 619-295-5111 for complete information and to make your reservation. This entry was posted by The Guadalajaran on October 4, 2011 at 3:43 pm, and is filed under Blog Entries, Catering. Follow any responses to this post through RSS 2.0. You can leave a response or trackback from your own site.